Alec Bradley 8 Cigar Mix #100 contains some of the most after premium cigars on the market today. The top-rated Tempus leads an all-star cast of delicious blends from the world-famous Alec Bradley cigar portfolio. 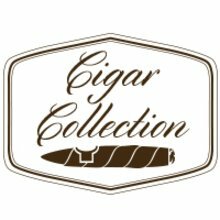 With tons of honors throughout the years and numerous 90+ ratings, if you weren’t an Alec Bradley cigar fan before, you most certainly will be after smoking every stick in this amazing sampler! Good mix. I liked the Black Market best. One was a hard draw. Others were good.